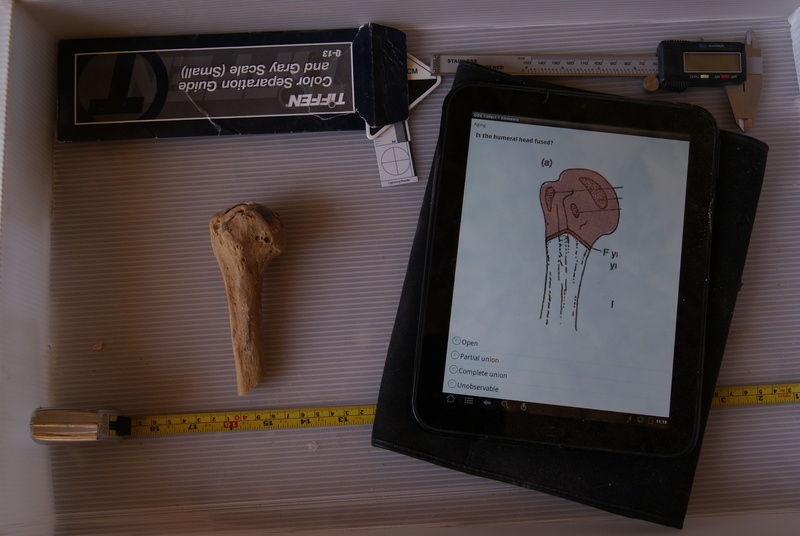 OsteoSurvey is an open-source series of XML files for collection bioarchaeological data on Android-based mobile devices. It works together with Open Data Kit (ODK) for data collection and archive. OsteoSurvey is designed to optimize data collection through the use of skip logic and data validation. Separate forms for individual elements, the skull, dentition, and individuals allows users to flexibly document both commingled remains and complete individuals. Utilizing osteological research methods outlined in Buikstra and Ubelaker 1994, OsteoSurvey offers a digital platform for standard osteological data collection. To learn more about OsteoSurvey or try it yourself, contact me. Dissertation research? There's an app for that.